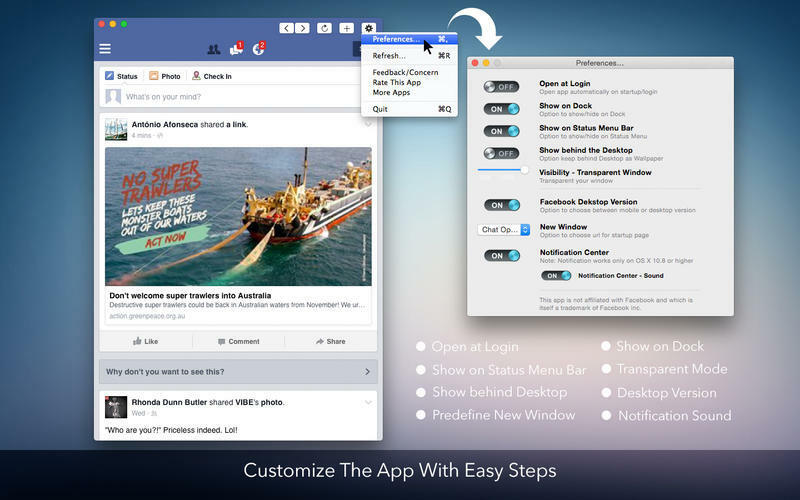 Easily and quickly connect to Facebook. 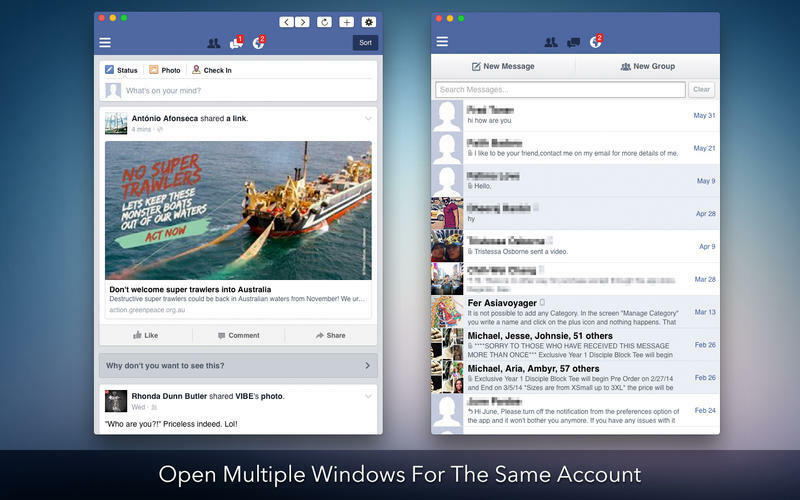 Is there a better alternative to Face for Facebook? 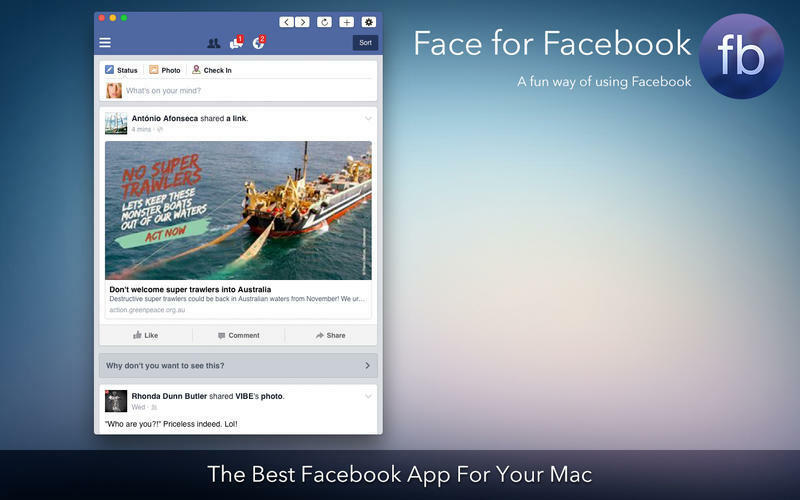 Is Face for Facebook really the best app in Social Networking category? Will Face for Facebook work good on macOS 10.13.4? Face for Facebook is a very simple app that allows you to connect with your friends and family on Facebook in an instant. 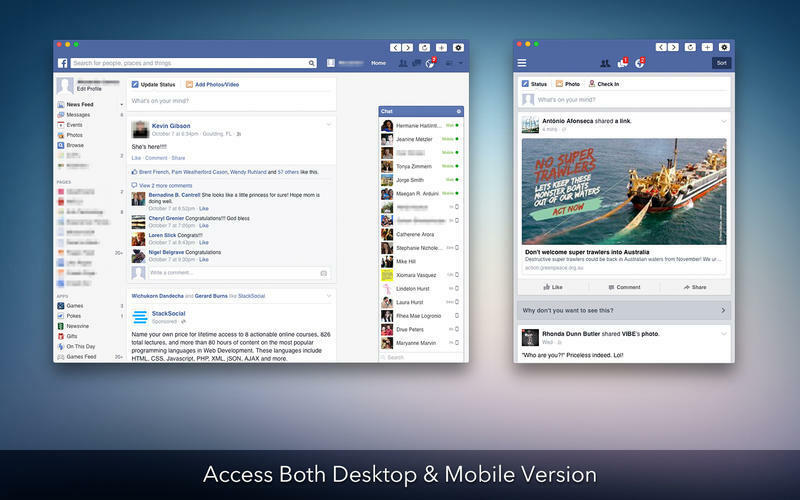 You can easily switch between desktop and mobile version of Facebook through this app. Face for Facebook needs a review. Be the first to review this app and get the discussion started! Face for Facebook needs a rating. Be the first to rate this app and get the discussion started!